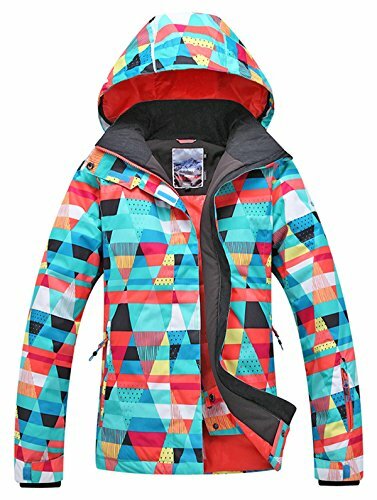 This ski suit adopted the High windproof and waterprooftechnology, which has a good waterproof, windproof, breathable, wear-resisting, heat preservation effect.It should be your best choice for winter outdoor activities. Please refer to the size chart before ordering and allow some color differece due to the light and display. XS:Chest 102CM/40.2'', Shoulder 42CM/16.5'', Length 70CM/27.6'', Sleeves 67CM/26.4''. S:Chest 108CM/42.5'', Shoulder 43CM/16.9'', Length 72CM/28.3'', Sleeves 69CM/27.2''. M:Chest 114CM/44.9'', Shoulder 45CM/17.7'', Length 74CM/29.1'', Sleeves 71CM/28.0''. L:Chest 120CM/47.2'', Shoulder 46CM/18.1'', Length 76CM/29.9'', Sleeves 73CM/28.8''. XS: Hight 155-160cm/61-63'', Weight <50kg/<110lb. S: Hight 160-165cm/63-65'', Weight 50-60kg/110-132lb. M: Hight 165-170cm/65-67'', Weight 60-65kg/132-143lb. L: Hight 170-175cm/67-69'', Weight 65-75kg/143-165lb. If you have any questions about this product by APTRO, contact us by completing and submitting the form below. If you are looking for a specif part number, please include it with your message.